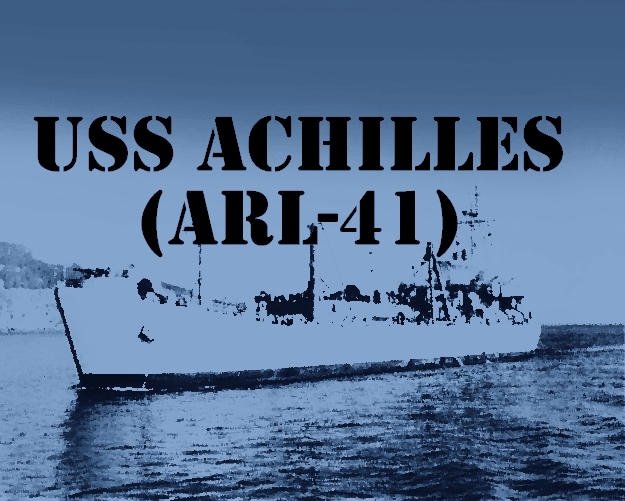 Achilles took part in the Leyte landings in October and November 1944. On November 12, a Japanese air attack swept in upon the invading American fleet. Intense antiaircraft fire downed two enemy planes almost instantly, two more crashed into repair ships - Egeria (ARL-8) and Achilles (ARL-41).